How Do You Manage A Product That Is A Massive Hit? Candy Crush Soda Sage is a huge hit. Now what? There is no question the King Digital’s “Candy Crush Soda Saga” is a big hit – they got their product development definition right. Its predecessor, “Candy Cush Sage” was launched a long time ago, in app terms, way back in 2012. However, it is currently still the third highest grossing game in Apple’s app store. 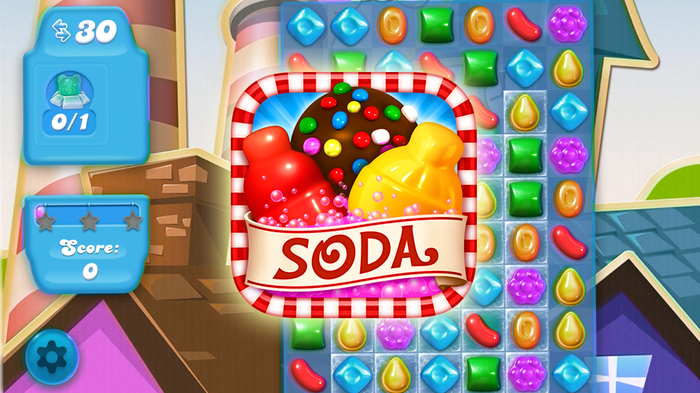 Candy Crush Soda Saga is not far behind – it ranks fifth on that list. Candy Crush Soda Saga was launched in November of 2015. The new version of the game used the elements of the first game that players found so addictive and built on it. Candy Crush Soda Saga includes new elements that create puzzles that challenge players to solve. Just to make the game even more enjoyable, King Digital contracted with the London Symphony Orchestra to create a great soundtrack that convinced even more people to play this version of their game. What makes Candy Crush Soda Saga an interesting product is that King Digital gives it away for free. Yes, you heard me correctly – this product does not cost the customer anything. This sure sounds like it would be difficult to add to a product manager resume. How do they make money you ask? Simple – in game purchases. King Digital sells digital “boosters” and extra moves that help players of the game. These purchases allow players to make it through the most frustrating levels. Clearly the King Digital product managers have a hit on their hands with the Candy Crush Soda Saga app. However, in its initial release, the game only had 135 levels. Once a user completed those levels they were done. There was no need to keep playing and no need to keep purchasing in game boosters. The King Digital product managers have solved this problem by creating new levels for their game. A small team of software developers has been given the responsibility of creating 15 new levels that are then released every two weeks. The designers are under a great deal of pressure. There are some customers who can work their way through 15 new levels in a single day. The King Digital product managers have established some very clear rules regarding what a new level in their game must have. The first rule is that the level must be fun for a customer to play – if it’s not, then customers will stop playing the game. The next rule is that every level must be able to be solved without having to use boosters. Yes, they want to sell more boosters, but they want to assure their customers that they don’t have to buy boosters in order to complete a level. The product managers believe that an easy level should be able to be solved by a customer after about 5 attempts. A hard level should require perhaps 30 attempts. If during development, a level is found to require 50 attempts in order to solve, then the designers go back and make changes in order to make it just a bit easier. One of the product manager’s most powerful tools is all of the analytics that they are able to collect from the millions of users of their game. They can observe how new levels are used and make changes even after they have been released. Over at King Digital the product managers have a hit on their hands. Their popular app “Candy Crush Saga” has a new follow-on app called “Candy Crush Soda Saga” that is proving to be even more popular. Now their real challenge is going to be to keep their customers engaged with their app. King Digital makes it money by selling in-game boosters to its customers. They can use these boosters to complete difficult levels. When Candy Crush Soda Sage was initially released, it came with 135 levels. In order to keep users engaged with the app even after they have completed the 135 levels, the software developers at King Digital release 15 new levels every two weeks. These levels are designed to be challenging, but not too challenging. Success is a wonderful thing. However, as product managers it is something that we need to both understand and learn how to manage and add to our product manager job description. We spend a lot of time learning how to take under performing products and turn them into successes; however, we probably don’t spend enough time studying how to deal with success when it finds us. If we take the time to study how the product managers at King Digital are managing their success, perhaps we’ll be ready when success comes knocking at our door. Question For You: This can’t go on forever. When should the King Digital product managers stop making new levels? The product managers over at McDonalds have a problem on their hands. Yes, they are working for one of the world’s most successful restaurant companies. Yes, there sure seems to be a McDonald’s restaurant on just about every corner in every town everywhere. However, lately the company has been making less money. Even when you are driving a battleship, you still need to be able to turn it or so you’d like to be able to put on your product manager resume. McDonald’s product managers need to find a way to change their product development definition in order to boost the company’s profits. They have an idea – offer breakfast all day!